Hospitals, GPs, community services and care homes are being brought together in England to provide more joined up care under a series of pilots. The 29 "vanguards" have been announced by NHS England boss Simon Stevens as part of his drive to integrate care. The approaches vary, but could lead to more services being available at GP practices rather than in hospitals and more NHS care provided in care homes. Mr Stevens said the "starting gun had been fired" on a new way of working. The pilots are backed by a £200m transformation fund - money which was set aside by Chancellor George Osborne in the Autumn Statement and come after Mr Stevens set out a five-year plan in October for changing the way services are organised. That document, the NHS Forward View, called for local areas to come up with new ways of working by breaking down the traditional barriers that exist between hospitals, GPs, mental health and community services. In particular, it stressed the need for the NHS to work more closely with council-run social care services. More than 200 ideas were submitted to NHS England, with 29 now chosen to pioneer these new models. GPs in Rushcliffe, Nottinghamshire, coming together to set up a new care organisation to take charge of a pooled budget to coordinate care between hospitals, care homes and ambulance services. In the London borough of Tower Hamlets, patients being offered a single assessment covering hospital, NHS community, mental health and social care services thanks to a new partnership. Care home residents in Airedale in West Yorkshire being given access to health care through a more innovative use of telemedicine to reduce admissions to hospital. On the Flyde Coast in Lancashire integrated teams of community nurses, social care staff and other health professionals will be working together to help patients with long-term conditions, such as diabetes. In highlighting these 29 projects, NHS England is suggesting it marks a new dawn for how services are organised in the health service. But this is not strictly true. For a number of years, the NHS has been looking to integrate services in the way Simon Stevens is setting out today. In 2009, 16 integrated pilots were established. Then in 2013, 14 integrated care pioneers were set up by the coalition. The group was later expanded to 25. Now we have 29 vanguards - some of which have featured in the previous "ground-breaking initiatives". Tower Hamlets in London has been part of all three. What is more, next month sees the launch of the government's Better Care Fund, which involves integrated projects in 151 local areas, while last month it was announced Greater Manchester was going the whole way and pooling its entire health and care budget. In Wales similar measures are being taken and in Scotland health boards and councils are in the process of pooling their budgets. The NHS is changing, but this isn't an overnight revolution. Mr Stevens said: "The NHS has its own long-term plan, backed by just about everybody, and today we're firing the starting gun. "Instead of the usual top-down administrative tinkering, we're backing radical care redesign by frontline nurses, doctors and other staff in partnership with their patients and local communities." Nigel Edwards, chief executive of the Nuffield Trust, said: "Many of the 29 areas chosen are well known within the NHS for containing organisations already at the cutting edge of health and social care. "In that sense, there are no real surprises. These are organisations that have a head start in developing new approaches to better meet the needs of their local communities. "The real test for this project, therefore, is how it is spread more widely to areas where such pioneering practice doesn't exist." 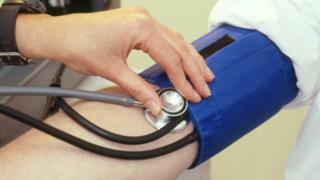 NHS revamp - rhetoric into reality? Greater Manchester: The start of something big?